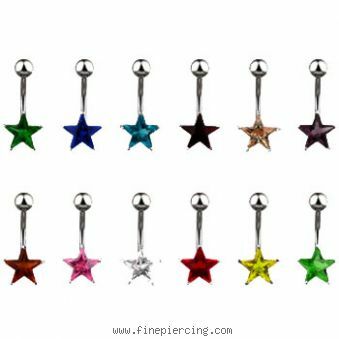 Small jeweled star belly ring. 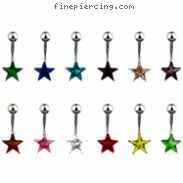 Body piercing jewelry. Jeweled heart navel ring with dangling jeweled crown with \"Juicy\"